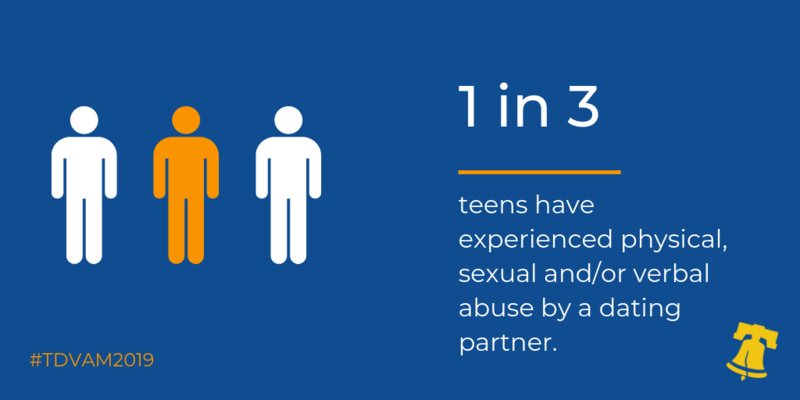 Teen dating violence is remarkably common, yet it is rarely discussed. According to national statistics, 1 in 3 girls in the U.S. will experience some sort of dating violence, according to the National Youth Risk Behavior Survey. Be supportive – Let the person first talk about what they like about their relationship. Ask how they met and what they like to do together before you voice your concerns. It shows that you value and respect the relationship, even if the couple is young or the relationship is new. Remember to ask them what they want to do about their relationship, and not assume they want to stay in it, or leave it. Ask how you can help. If they don’t want to talk at that time, let them know you’re available when they are ready. Speak about your concerns– Let them know what you are seeing in their relationship that has you worried. Tell them specifically what you are worried about. “I have noticed you stopped hanging out with your friends since you started going out with…”. Give them time to answer and let them know that abuse in a relationship is not their fault. Keep everything confidential – Assure the person you will not share or gossip about any information they told you. Protecting confidentiality is critical to the teen’s safety and may affect whether they choose to disclose or seek services. Listen first and take it seriously – Brushing off someone’s disclosure could send the message that what they’re experiencing is not that bad and make them reluctant to reach out in the future. Thank them for disclosing – Only 33% of teens in violent relationships ever told someone about the abuse. Let them know you appreciate them telling you and you want to support them. Prioritize their needs – Let them know that they are not responsible for the violence and ask them how they would like you to help. Get help when needed – If you think a person is in immediate danger or has been threatened, don’t be afraid to get emergency help involved. If there isn’t an immediate danger you can always get a trusted adult, counselor or advocate involved to help you. Let them know there are resources available and that you can call those resources together. 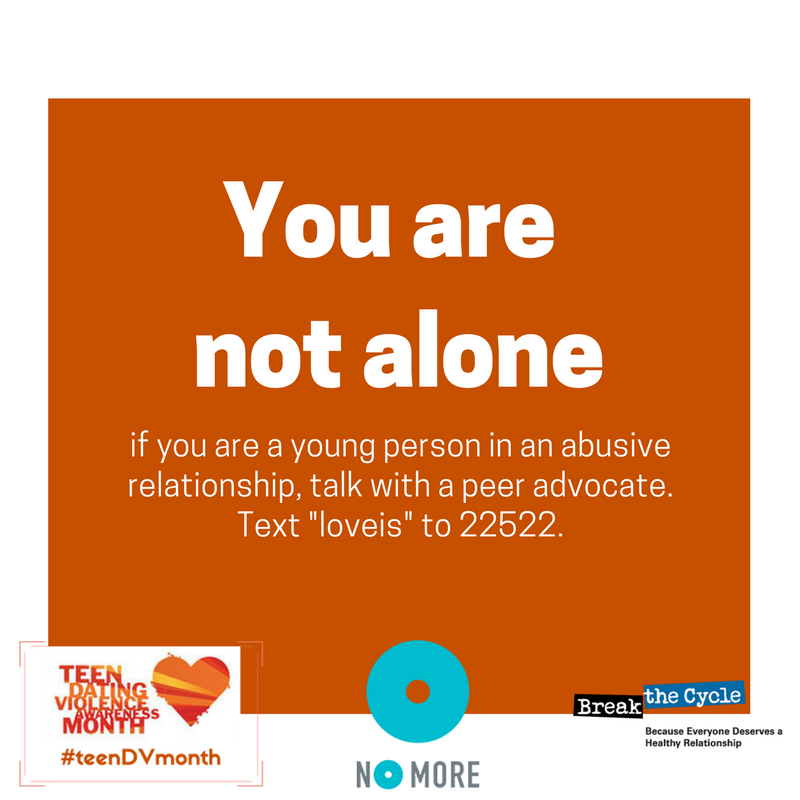 They can always contact either the Philadelphia Domestic Violence Hotline: 1-866-723-3014 or the National Teen Dating Violence Hotline by calling 1-866-331-9474 or texting “LOVEIS” to 22522. Check out these national resources that provide support and information for youth and concerned loved ones.